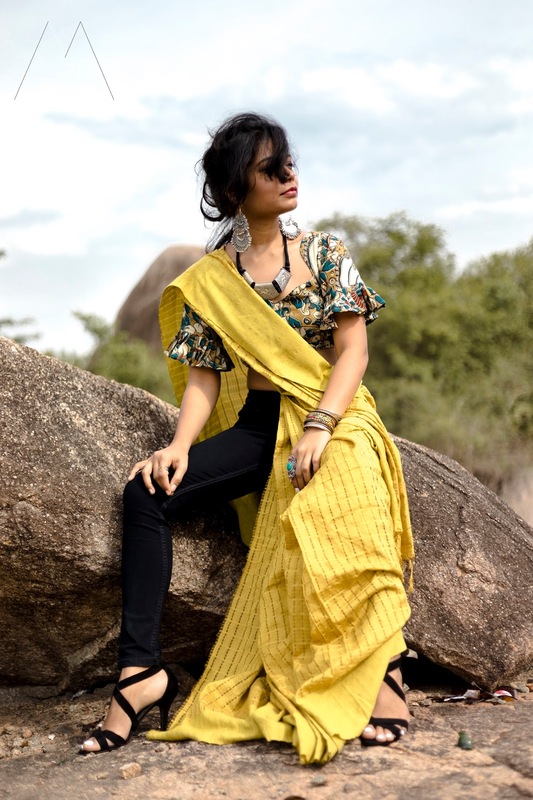 Intricate fashion details of East combined with the never ending and super comfortable denim craze of West kick the fusion fashion up a notch. 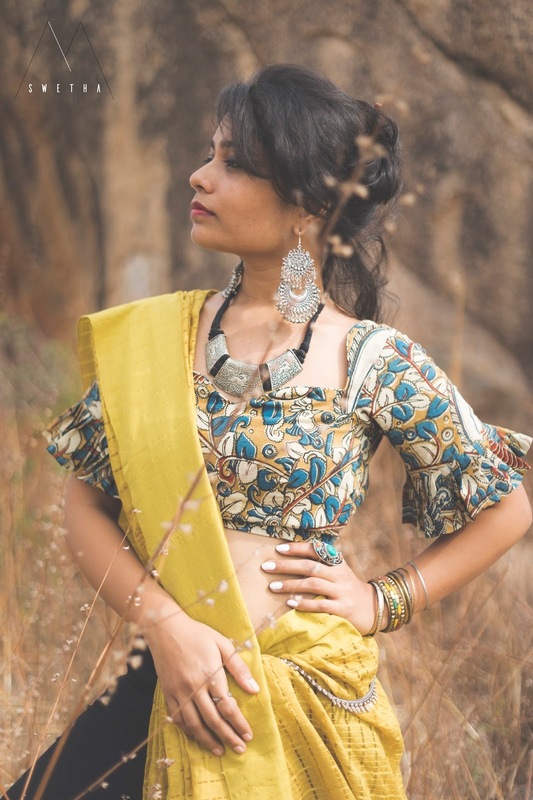 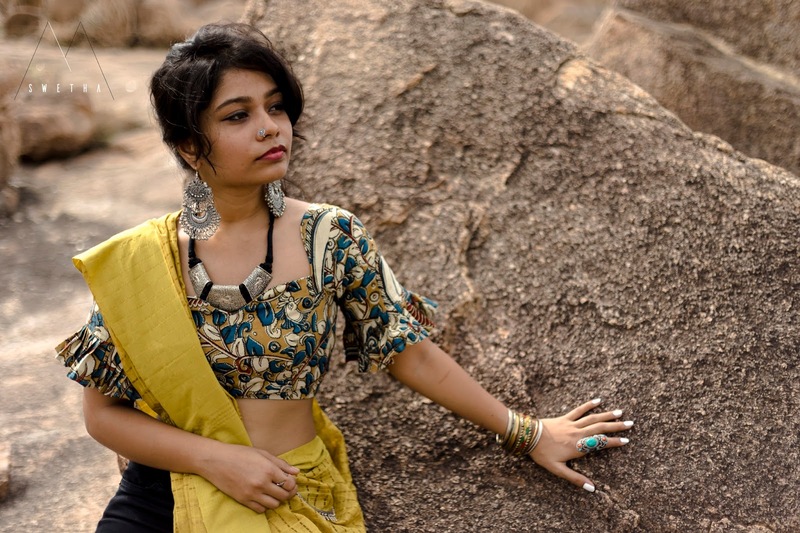 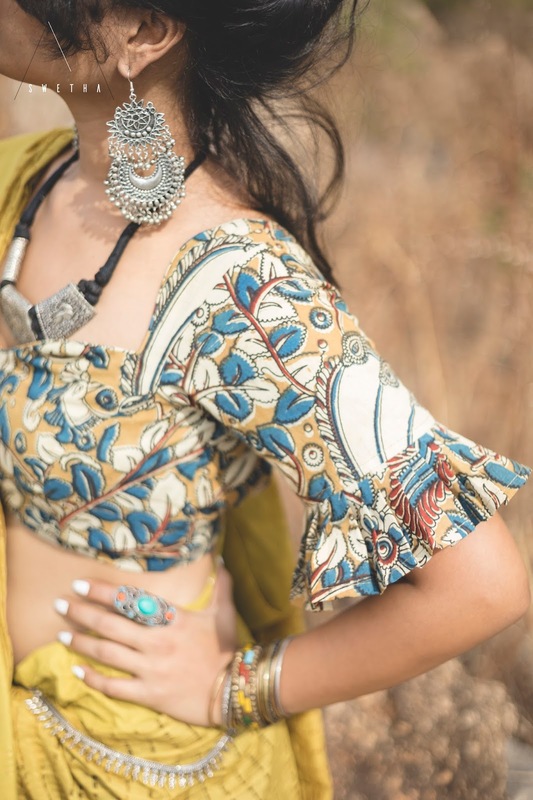 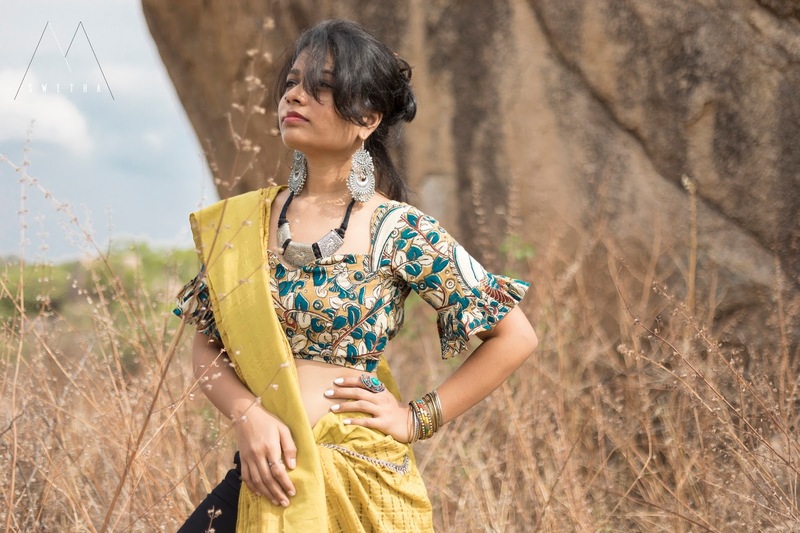 Silver jewellery, handloom clothing have always been my obsession and the challenge lies in bringing a completely unique look to the same old staples. 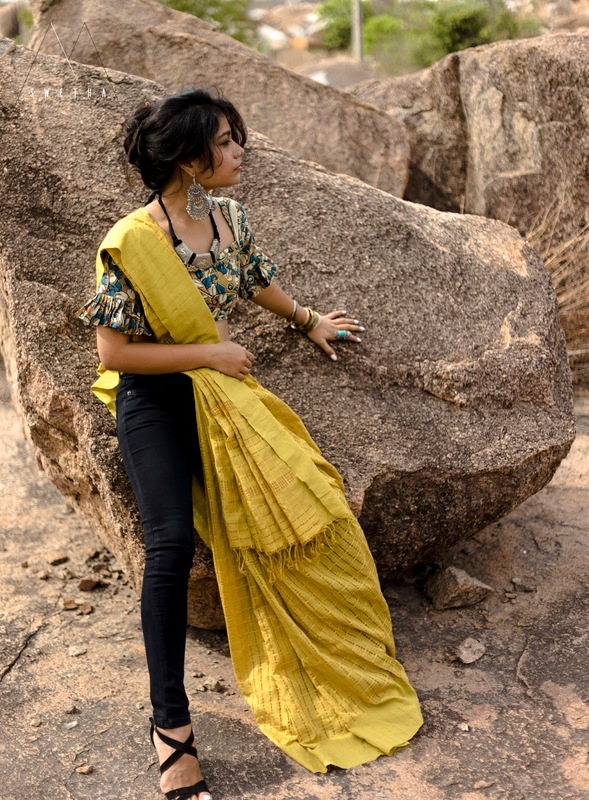 Spot me anywhere and anytime outside, you will see me slouching in an old pair of jeans and a XL tshirt. 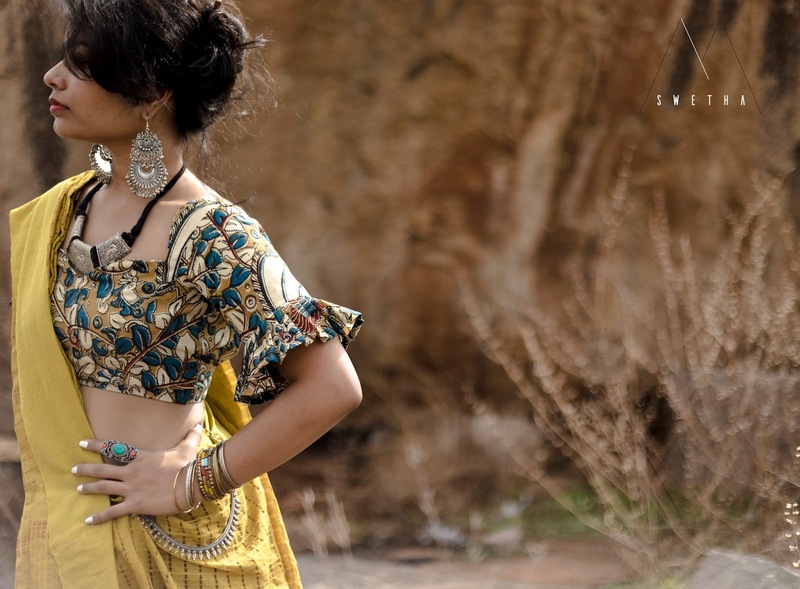 When your dearest saviour serves to ease your Indian outfit, that’s an impeccable combination. 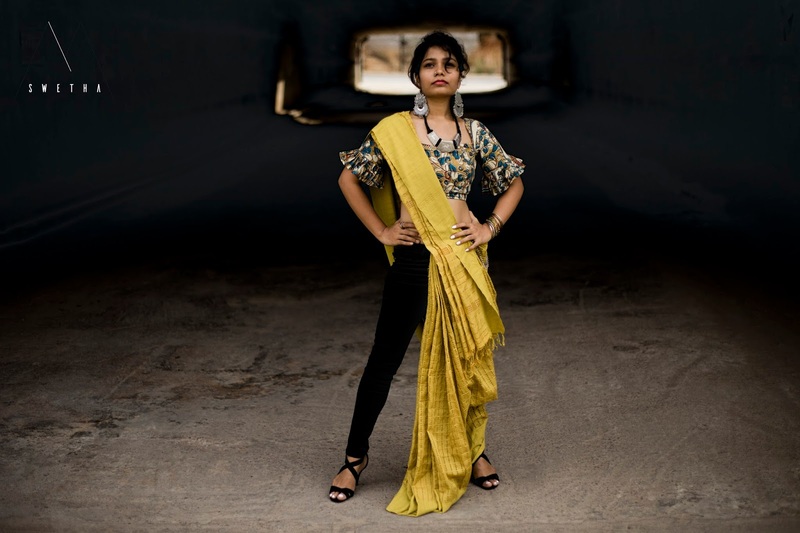 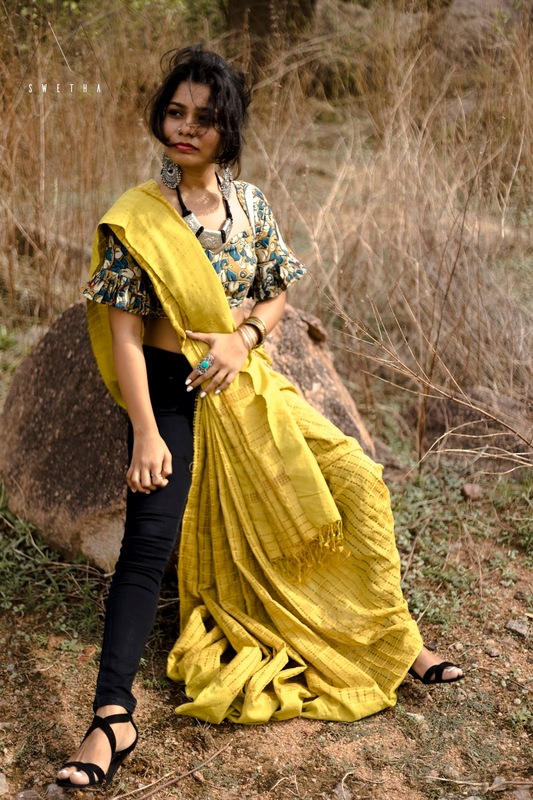 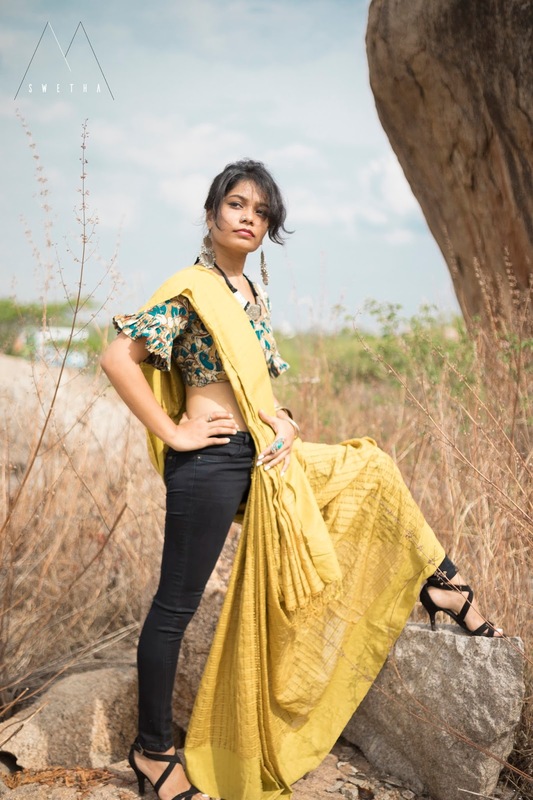 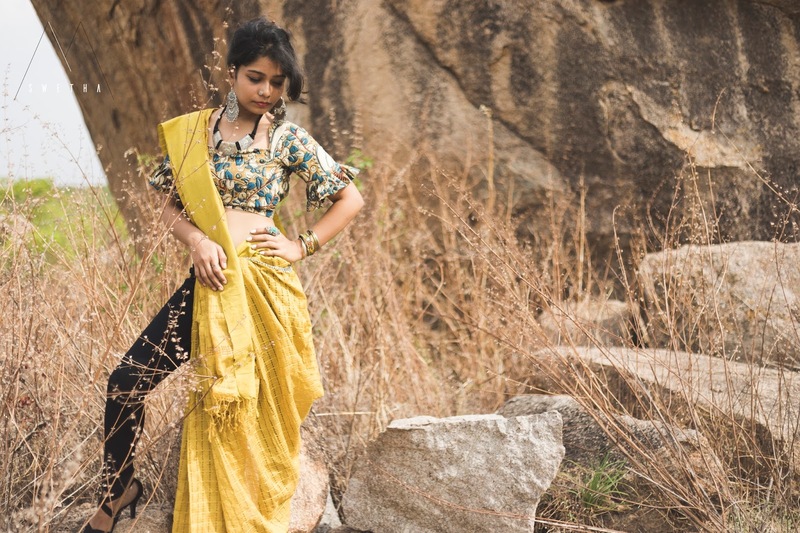 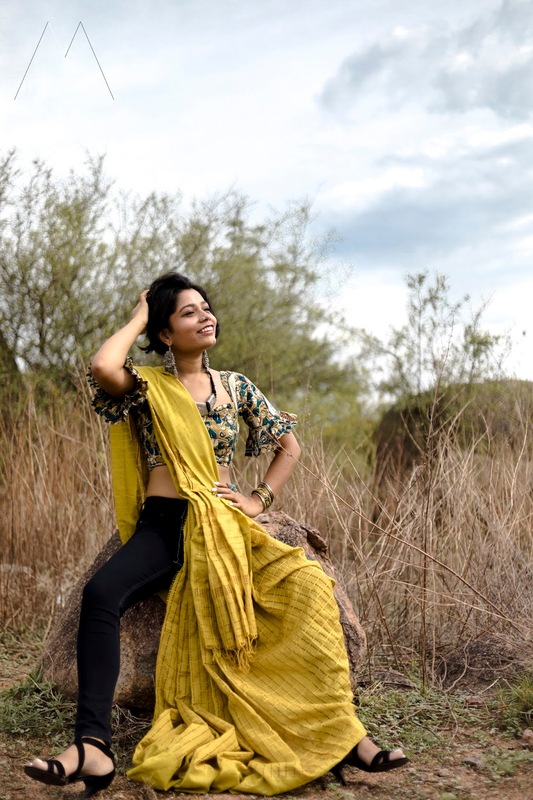 I choose to play around with my favourite vegetable-dyed handloom saree, kalamkari blouse, and my jet black jeans. 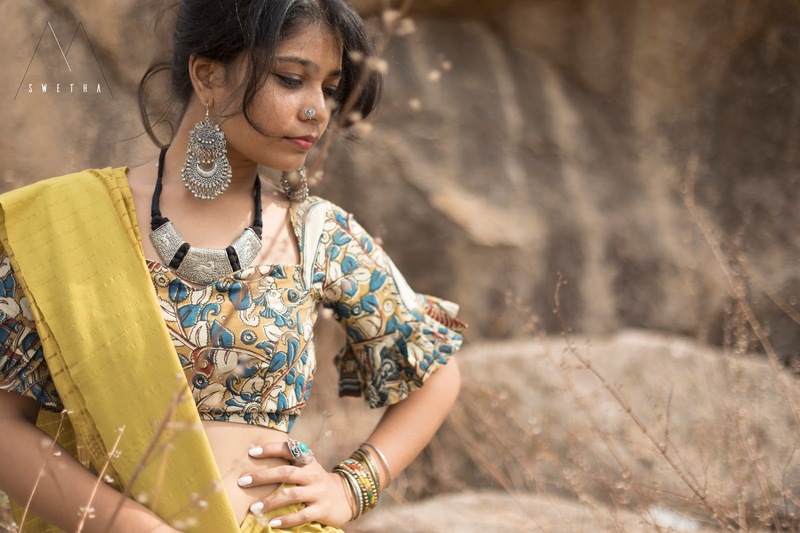 When it is handloom, it is silver jewellery that comes to the rescue to give that Indian vibe.Do you agree?